Neil Shipperley has admitted that he is likely to leave the Eagles this summer after being told he is no longer part of Iain Dowie's plans, by Stuart Pink. The 30-year-old play-off final hero held talks with the Palace boss at the end of last week but was told he is unlikely to figure in the coming campaign. But contrary to reports, Shipperley is adamant that he has not been released and the final year of his contact has not been paid up. Shipperley said: "I have not been released. I am still at the club. I've just been told I am not in his Dowie plans, so I am available for a free transfer." But despite having the opportunity to stay at Palace for the final year of his contract, the former Chelsea and Southampton striker has indicated that he would rather move on than face another season out of the first team picture. Shipperley said: "I think for both parties it's best if I leave. I'm not part of the plan at the club and I have family to think about." Shipperley was restricted to just one Premiership appearance last campaign, as a substitute against Manchester City, and has fallen way down the pecking order behind Andrew Johnson, Dougie Freedman, Sandor Torghelle, plus new signing Jon Macken. 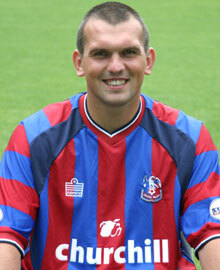 But the former Chelsea and Southampton striker will surely have no shortage of offers should he leave Selhurst Park. He has a good goal scoring record at Championship level and many clubs, including Reading and Gillingham, were rumoured to be interested in him during the January transfer window last season. The knee injury, which plagued him during the Eagles successful promotion campaign and went on to disrupt his start to last season is now firmly behind him, so he's in good condition for another stab at promotion with another club. But Shipperley will forever remain a crowd favourite at Selhurst Park, after captaining the side and scoring the winner in the play-off final against West Ham at the Millennium Stadium which sealed the Eagles' return to the Premiership last year.